The Legacy Heritage Fund Independent Living Neighborhood is intended for young (18+) mobile respirator dependent adults who suffer from neuromuscular conditions such as Duchenne, Becker, SMA and Spinal Cord Injury. The Independent Living Neighborhood provides a home environment for young adults. The setting balances between the need for independence and medical supervision of the young adults. Independence - Independent lifestyle as much as permitted. Privacy - Private aesthetic rooms for each tenant with a home environment. 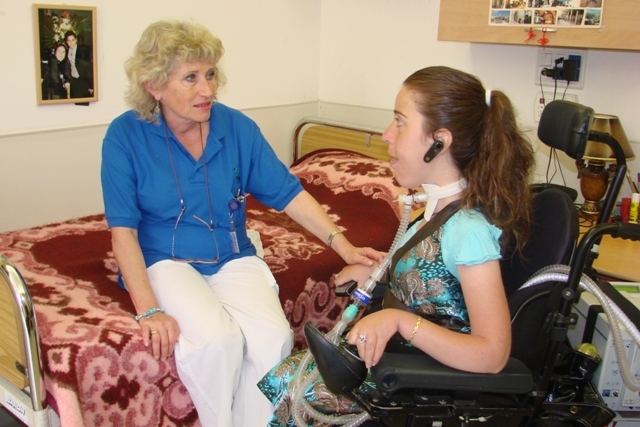 Medical Supervision - Supervision and control system that enables independent function and quality of life. Accessible staff during all hours of the day. Participation - all decisions regarding the tenant's life style are made together with the tenants.